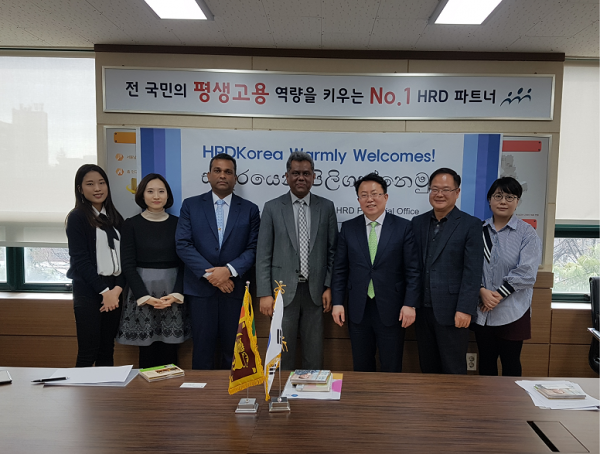 Chargé d’ Affaires of the Embassy of Sri Lanka in the Republic of Korea Jagath Abeywarna met with the Director General of the Seoul Nambu Branch of the Human Resources Development Service of Korea (HRD Korea) Kim Rog-hwan on 21 March 2019. The meeting included discussion on issues pertaining to Employment Permit System (EPS), welfare and protection of Sri Lankan employees as well as possible future cooperation. 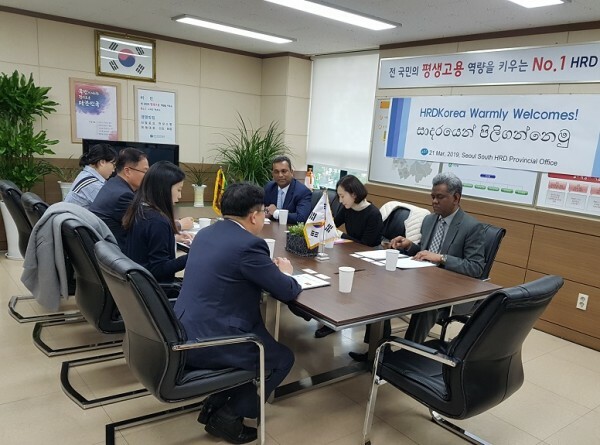 Director, Foreign Workforce Employment Division Park Myungseok of the HRD and Counsellor (Employment and Welfare) of the Embassy Jagath Batugedara participated in the meeting.